When GoPro first became popular with the shredders and adrenaline junkies of XGames caliber outdoor sports, we were all in awe of the feats they were accomplishing as we watched wide-eyed, almost like we were right there flying over the desert and catching air in the half pipe. But what about everyday families? GoPro Hero+ is actually perfect for everyday users including family travelers, adventure seekers, and all-around explorers. To be expected, but still awesome: it’s compatible with the Chesty, 3-way, and other GoPro branded accessories. Sturdy- Physically, it feels good in the hand, not like a lightweight cheap piece of plastic. This is something I expect from the brand, but I was happy to not be disappointed. Helpful instructions – If you haven’t used a GoPro before, you’ll need these. They are different little machines than any digital cameras/video cameras I’ve encountered, so the instructions were a must. Durable – We let our preschooler loose in the backyard and a waterpark wearing it– and I let my husband use it! USB charged battery – We’ve had NO trouble with the battery, though I like rechargable NiCad if I have to choose — but, two things — it’s USB charged only, and, what happens if the battery stops taking a charge? Or stops working altogether? It’s part of the camera, so that is a tad worrisome. Not having a wall/car charger is annoying, since I don’t always have a USB port handy. We don’t have big issues with battery draining, BUT if you’re looking for long video sessions (60 minutes +) you’ll want to find a power source to keep your backcountry adventures going – Goal Zero might be an idea for this kind of action. 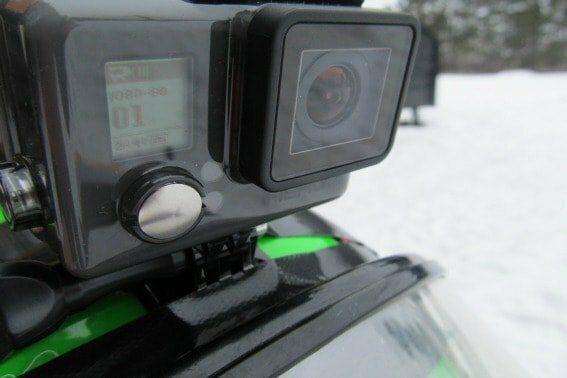 The camera does not come out of the waterproof case but is compatible with GoPro accessories — just take care (especially in cold winter conditions) to not break or damage any of the mounting stations for accessories or you’d have a camera that will need to be held in your hand. Micro SD card is used – the only gripe there is that they are so small to handle and keep track of. As a stay-at-home mom, we don’t use an action camera daily. 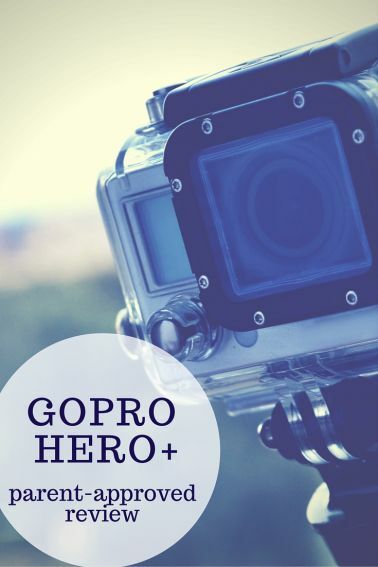 We primarily use our GoPro HERO+ to record outdoor adventures and vacation activities. It’s perfect for our needs. The only thing that I would really have liked is a rechargeable wall charging option for in the hotel or at home and an LCD screen (which we certainly can purchase). I didn’t think we’d miss the screen option, but it’s a little lame to not know if we’ve “caught” our moment well or not until we upload to a computer (since we do not utilize the app or have a smart device). The clarity and sound on this little camera is fantastic — way better than we had expected. 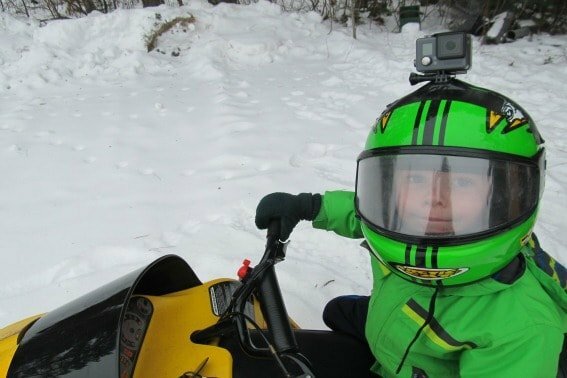 If you want the lower price but high-end quality, the GoPro HERO+ is a great choice for family adventures! 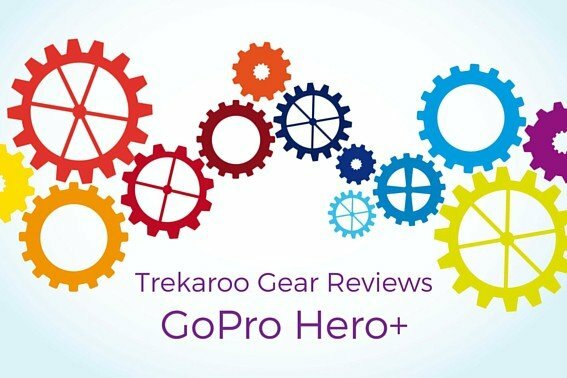 Disclosure: I received a product from GoPro so I could write an unbiased review on behalf of Trekaroo. All opinions are my own.